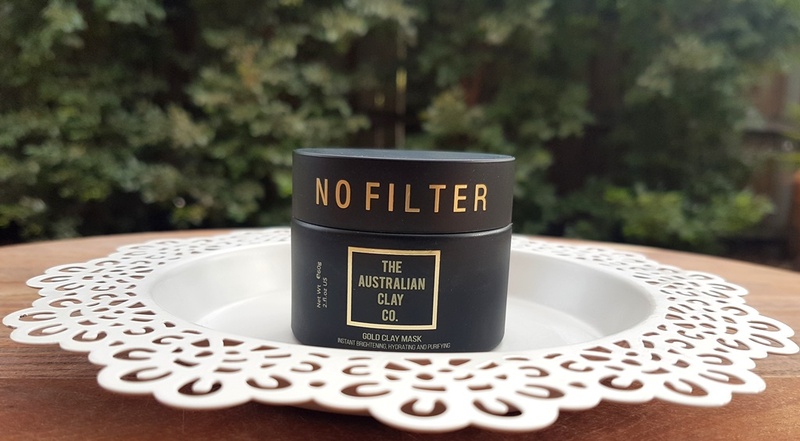 The Australian Clay Co. No Filter Gold Clay Mask claims to be an ultra deep cleansing mask that removes dead skin and other nasty impurities leaving your face plump and fresh. Kaolin clay is derived from the mineral Kaolinite (also referred to as Kaolinite Clay). Rocks that are rich in Kaolinite are also known as Kaolin or China Clay. Together with Bentonite, they deliver a detoxifying effect, able to absorb excess sebum and draw out impurities from the skin for clean pores. A high content of silica helps to remove dead skin and regenerate new cells without over-drying. As such, clay is great for acne control. 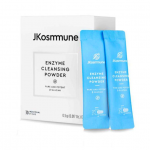 This function is enhanced by Charcoal Powder which is able to extract oil, dirt and other harmful substances from clogged pores due to its powers of absorption. Soothing Aloe Vera Juice is used for hydration and healing. Its super anti-inflammatory benefits result from Vitamins A and B, folic acid, enzymes, proteins, amino acids, fatty acids and triglycerides which help to reduce acne inflammation, redness and irritation. Rose Flower Water is water scented or distilled with essential oil from the Rose plant. It is great for soothing, cooling and providing anti-inflammatory properties, ideal for sensitive skin or that suffering acne or redness. Astringent properties also help to tighten pores and reduce their appearance, a behaviour naturally enhanced by Wattle Seed Extract. Baobab Oil displays excellent softening, healing and regenerating properties. Antioxidant rich, it helps to protect against free radical damage. High Vitamin A, B and C content delivers anti-ageing benefits, helping to improve elasticity, firm and hydrate the skin. Furthermore, Omega fatty acids reinforce the moisture barrier. Similarly, Australian Desert Peach and Australian Desert Lime are also strong antioxidants rich in Vitamin C to improve elasticity. Furthermore, the peach additionally behaves like an Alpha Hydroxy Acid (AHA), gently exfoliating and rejuvenating the skin for a radiant complexion. Titanium Dioxide is used for thickening and whitening the product. 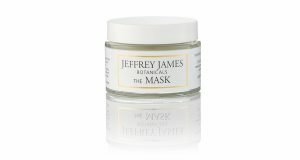 The mask comes in a sturdy plastic container with screw top lid and inner protective cap. The package also includes a handy soft bristled brush for application. 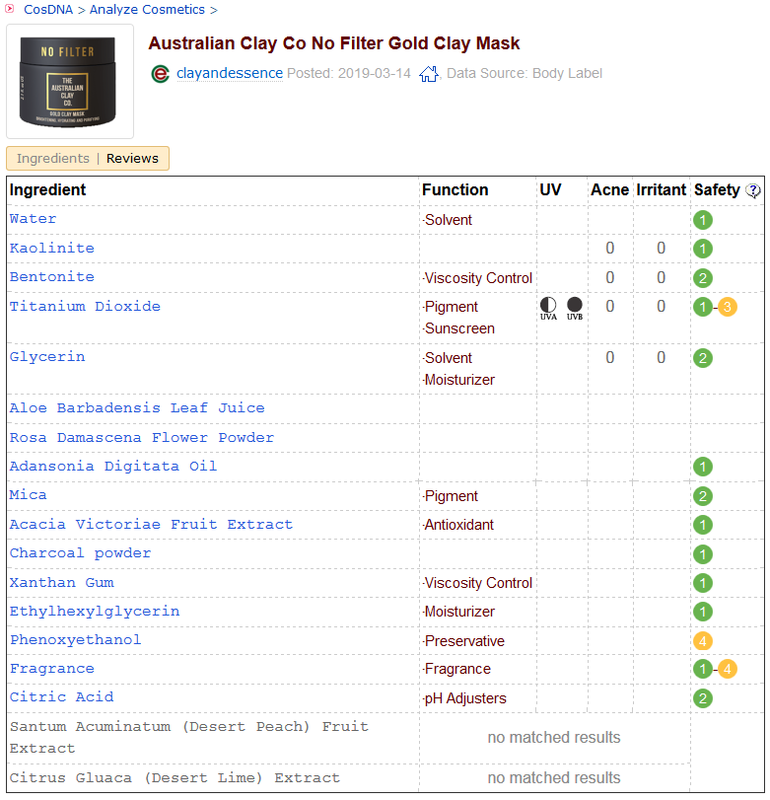 An acceptable assessment is returned from both the CosDNA and EWG resources, rating the Australian Clay Co. No Filter Gold Clay Mask a moderate hazard primarily due to the presence of fragrance. 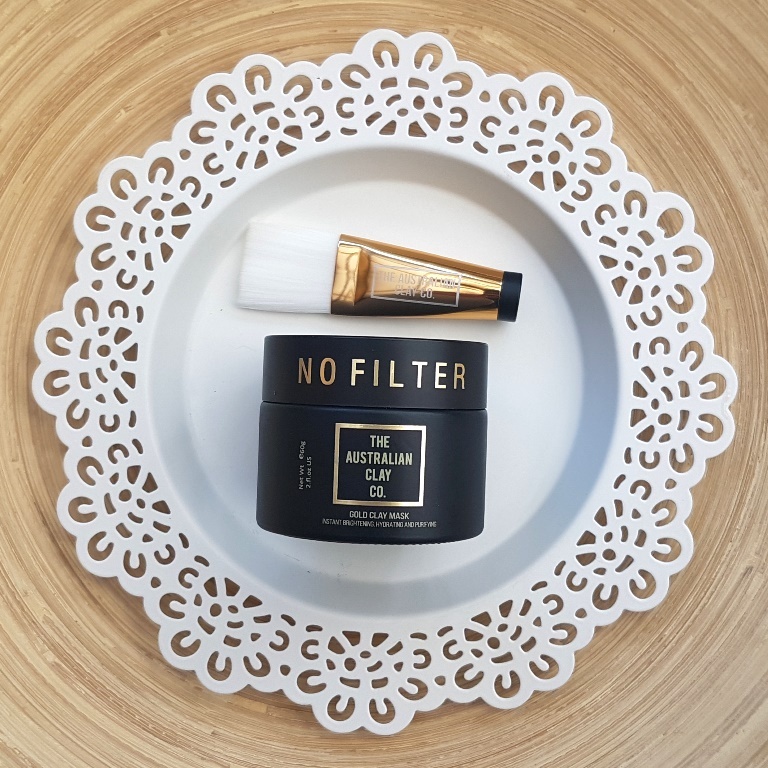 Use the soft bristled brush provided to apply mask evenly to face avoiding mouth and eyes. Leave on for 10 minutes or until dry. Use warm water and washcloth to gently remove. The mask has added natural fragrance for scent. 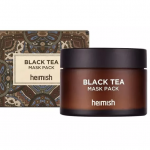 The mask costs AUD$49.00 for a 60g jar. 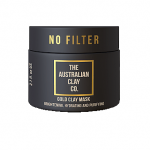 Australian Clay Co. products are available from their website. 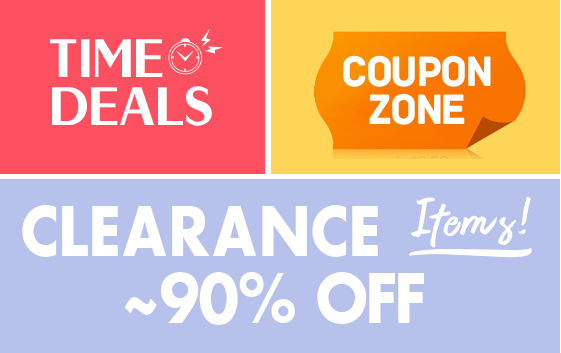 Worldwide shipping is free. 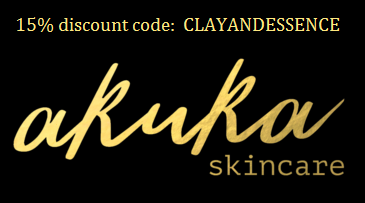 The clay mask must be used within 12 months of opening. The packaging for this mask is elegant and practical. The gold writing and highlights stand out against the matte black jar. It is quite sturdy and feels a good weight to handle. It’s not often a dedicated application brush is included with a product. This one is a perfect complement to this fairly lightweight clay mask. The bristles are very soft so it wouldn’t be as effective for a denser product. Furthermore, the brush feels a little flimsy so I think it’s really designed exclusively for this mask, to be discarded thereafter. 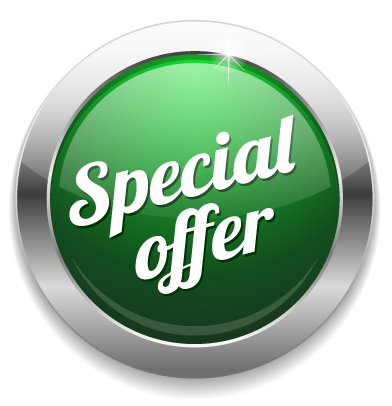 As an included bonus, it serves its purpose well. 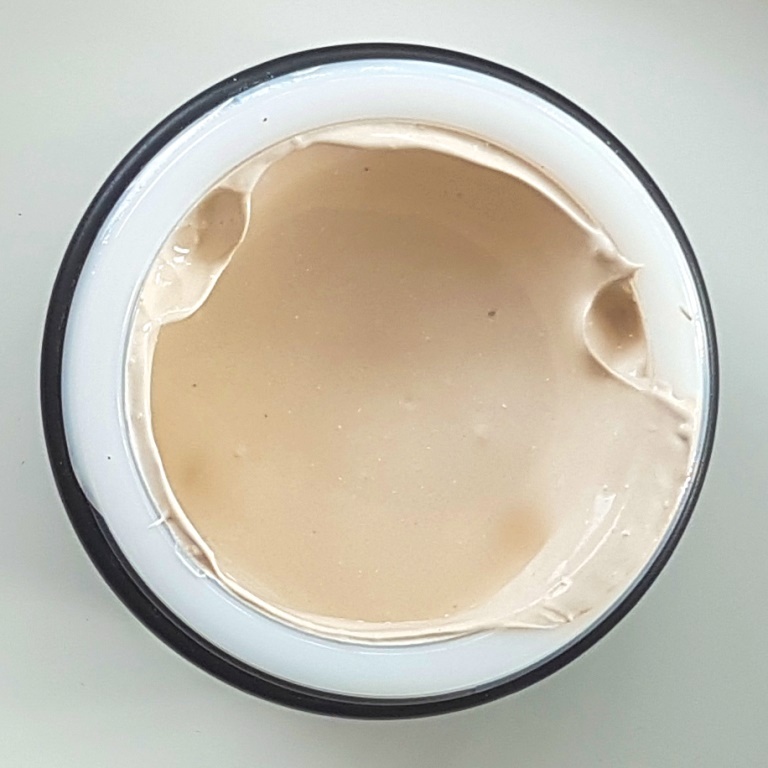 The formula is creamy and the appearance a beige colour. It has a silky light consistency, much less dense than most clay counterparts, so applies really easily with plenty of slip. It feels more like a cream than a mask in application. However, it takes on typical clay characteristics once it begins to dry. The mask has added (natural) fragrance which is light and non offensive. It has a sweet, part floral/part medicinal smell. 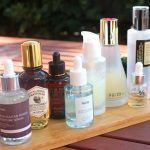 As I prefer fragrance free skincare, I’m not convinced it was a necessary inclusion since it can increase sensitivity to a product and serves no purpose other than to enhance the experience of using it, rather than to add any skin benefit. Generally speaking, fragrance doesn’t normally have a detrimental impact on my skin. Those with sensitivities would be wise to patch test first. 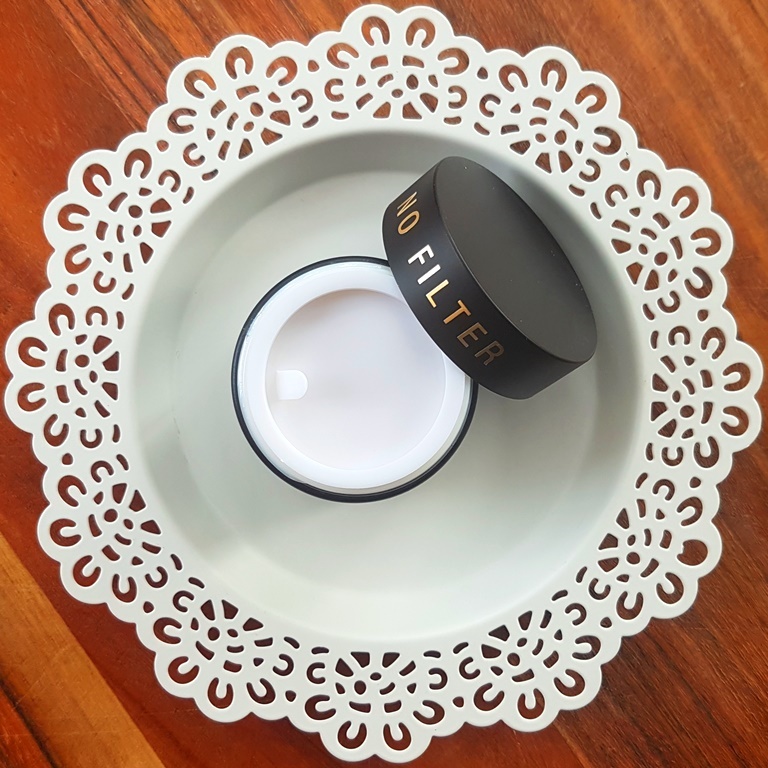 Each time I apply this mask to my skin, avoiding the eye and mouth regions, the most sensitive part of my face, my chin (which has enlarged pores), begins to tingle. 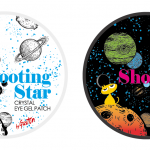 I don’t know whether this is because of added fragrance, the acidity of the lime or perhaps something else, but it is definitely noticeable every time. The sensation is not overwhelming so I persevere. After applying an even coat, I allow the mask time to dry. Depending on the thickness, this should start to happen fairly quickly, ready for removal in around 10 minutes. As it dries, it tightens and if the skin is stretched, the mask cracks. The tightening is never uncomfortable although increases with wear time. I like to remove my clay masks just before they are completely dry to avoid any over extraction of facial oils which may lead to dryness. To remove, I either massage it under the shower or wash with a warm, wet face cloth. It cleans off easily without leaving any residue. Its effects are instantly noticeable both in terms of visual appearance and skin texture. Both are obviously improved. 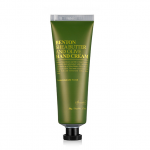 Skin feels clean, soft and smooth without any dryness at all. It also looks bright and fresh. 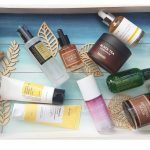 This suggests that the detoxifying effects of clays, charcoal and desert peach are well balanced with the replenishing properties of aloe vera, rose flower water and baobab oil, managing to draw out impurities and resurface the skin while keeping it hydrated. However, one time I didn’t remove the mask in a timely fashion due to a distraction, leaving it on around 5 minutes past its full dry state and I suffered the consequences. Parts of my face felt dry but my sensitive chin became inflamed, redness lasting the next few days. So, be warned, that this mask has incredible pulling power and should be removed just before completely dry to avoid any negative side effects. 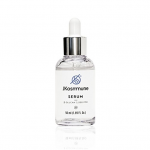 When used in this way, the overall results deliver a radiant and healthy complexion. The smoothness resembles the feeling left by a granular exfoliator without the physical agitation. The mask has a strong drawing power which is quite impressive. 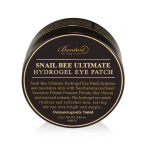 I think with regular use of 2-3 times a week, it could do wonders for keeping pores clear of debris long enough to delay congestion. 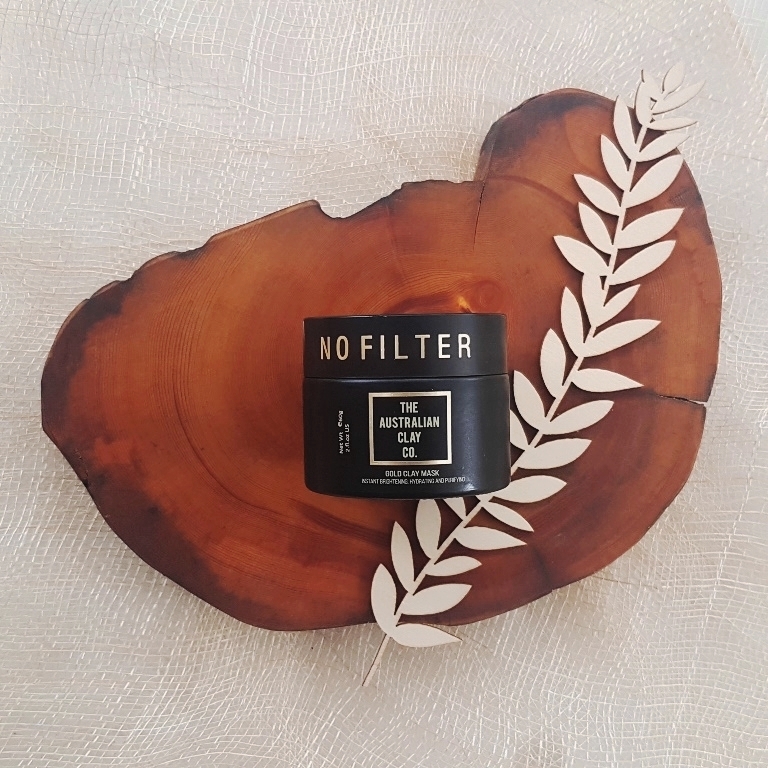 As far as clay masks go, this is definitely a good one, with some unique and comforting ingredients included to prevent drying out the skin while detoxifying the pores. I believe it would suit all skin types, although those highly sensitive to fragrance may be the exception. People on the drier or more sensitive side of the scale should definitely rinse it off prior to it fully drying to assure healthy oils are not also extracted in the detoxification process. 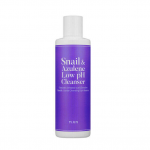 Those with oilier and acne prone complexions will enjoy its pore cleansing qualities. This product was provided to me free of charge by Australian Clay Co. for review. 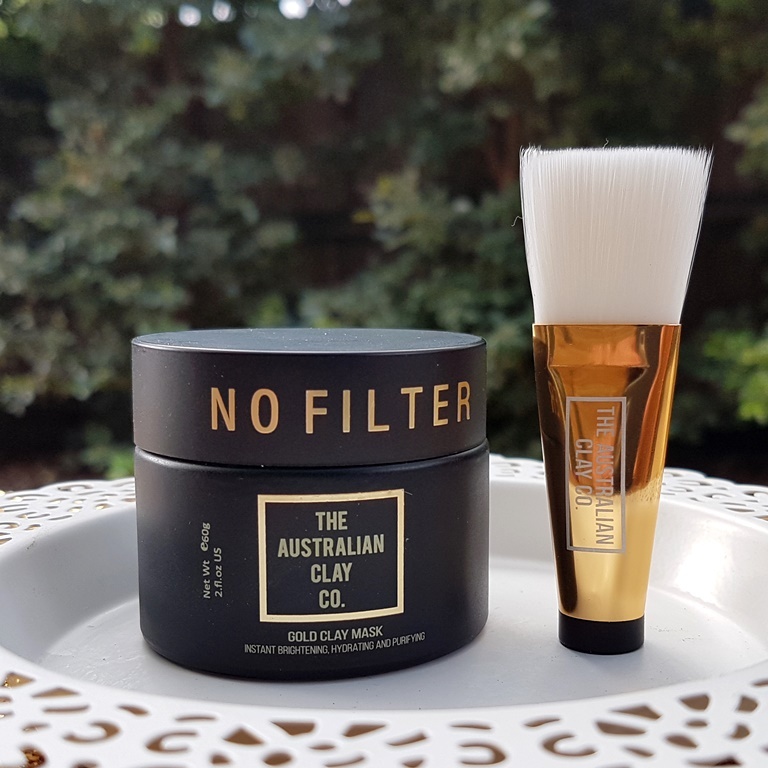 This post only includes my honest opinion and experience of this product and is in no way influenced by Australian Clay Co., any of its stockists, representatives or any other third party.